multiplayer | AppNee Freeware Group. 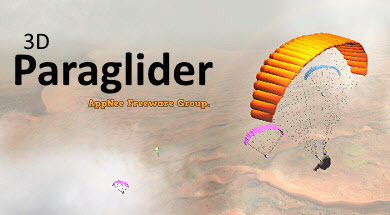 3D Paraglider is a relatively relaxed extreme sports simulation game, independently developed and published by khos85 in 2015, using the Unity 3D game engine. If you want to experience the feeling of using a paraglider to fly freely in the sky without restrictions, then 3D Paraglider is for you. Its another goal is to practice your paragliding skills before you are able to afford to do the real thing. 8-Bit Commando is a small 2D indie game developed by 2D Engine and first released in 2011. The first time you see it, you will realize that this is a remake edition of the old but classic series of video game Contra. In other words, that is equivalent to port Contra from FC console to PC platform to let you relive this classic video game.